Flood Control, Protection, Prevention | BoxBarrier® from EHS Sales Ltd. 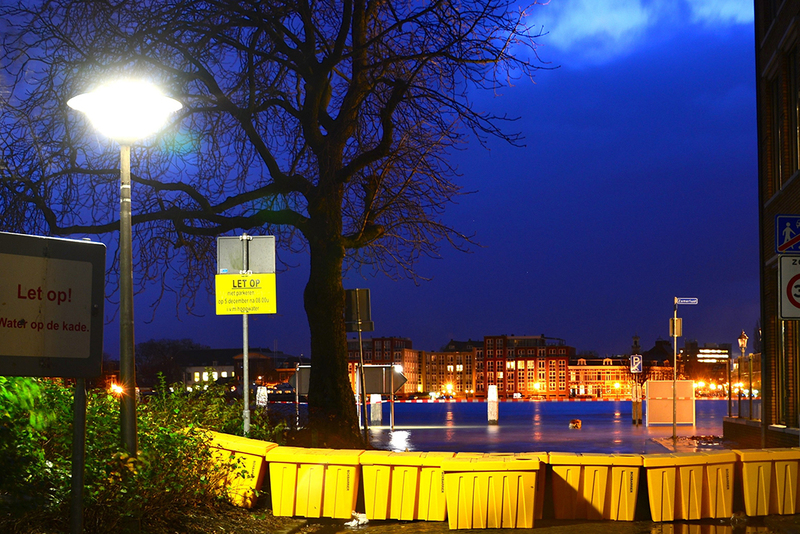 The BoxBarrier® is an exceptional flood defence system that’s easy to set up and just as simple to remove when the threat of flooding subsides. It’s environmentally friendly and reusable. There’s no special equipment required – just a simple pump to fill the units with water once they are in place, which means you’re fighting water with water. Easy to place and fill – In comparison with heavy sandbags traditionally used to create temporary damns and water barriers, the BoxBarrier® system is light and easy to set in place at a rate of approximately 100m/hour with a 3-person team. No back-breaking labour required; simply set the barrier in place and then fill with water. Efficient transport and storage – Despite its formidable size and strength when in use, the BoxBarrier® is surprisingly easy to store due to its compact construction and stack-ability, which also makes transport of the system a breeze. Stack up to 20 units together for transport or when not in use. A system that protects 250 linear metres can easily be stored in a 20-foot container. Flexibility to take on curves and corners – With corner pieces it is possible to place BoxBarriers® in sharp angles up to 90 degrees. Versatile application – The flexible rubber strip on the underside of the BoxBarrier® allows it to be effectively installed on virtually any exterior surface including grass, pavement, mud, clay, and asphalt, or even a combination of surfaces.